​UPDATE 11-28-18: Registration is full for this hike. Use the form below to get on our waiting list in case a space opens up. 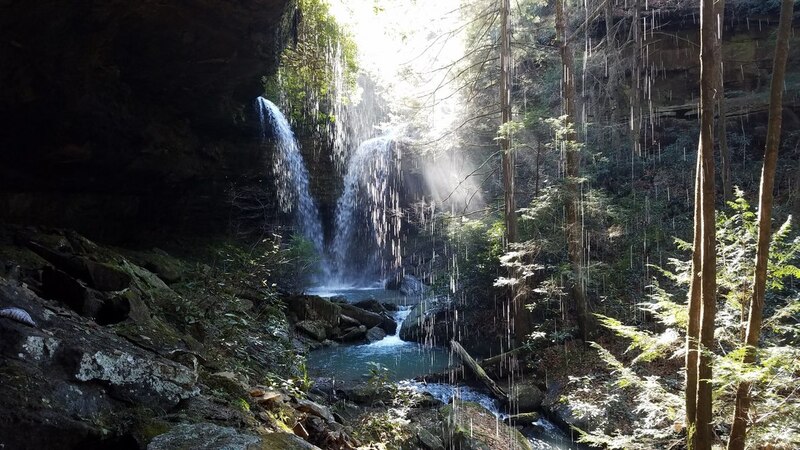 ​This trip will consist of an off-trail hike through some lovely forest in the Daniel Boone National Forest in Laurel County that’s been proposed for logging as part of the Pine Creek project. We’ll visit some very large and old-growth trees, take a detour to see a unique and stunning waterfall, imagine the abundant mountain camellia in bloom, and maybe get a view of the Rockcastle from high above the river. We’ll be talking about ecology and natural history, the trade-offs inherent in management, and what you can do to help. This trip will consist of several miles of off-trail hiking, and participants must be comfortable with bushwhacking and a few small scrambles. This trip is limited to only 8 participants, and a donation of $20 ($15 for Kentucky Heartwood members) is requested. If you'd like to become a member, you can join for as low as $5 and get the member rate for this hike (so you're still paying just $20 AND joining Kentucky Heartwood!). Participants must be 12 years of age or older. We will meet up near I-75 exit 38 at 10 am, and then drive about 35 minutes from the meeting location. The specific meeting location will be provided following registration. The hike will happen on December 8th even if it's cold and wet. However, if snow or ice make driving conditions unsafe, or the forecast is for severe rain, we will postpone until December 15th. To complete your registration, please click the donate button below, then use the drop down menu to choose your donation level. We also accept checks and cash. Donations should be mailed to PO Box 1486, Berea, KY 40403. Please include a note specifying for which hike you are registering. ​We will not turn anyone away due to inability to cover the costs. Donations are also welcome from people who cannot attend but want to help support these field trips and our work to protect Kentucky's public lands. Click here to donate to Kentucky Heartwood. 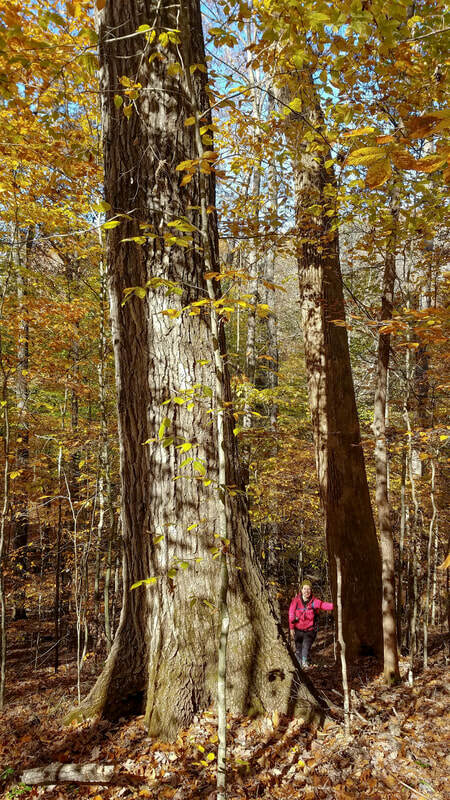 An old-growth tulip poplar (back) and large northern red oak in a proposed logging unit in the Pine Island Branch portion of the Pine Creek project area.